Almost up to when she died aged over 100, Nonie Lynch sang with an energy and involvement unrivaled by singers more than half her age. She sang mainly at home at family gatherings, at Gleesons in Coore on Sunday nights and occasionally at local sessions. 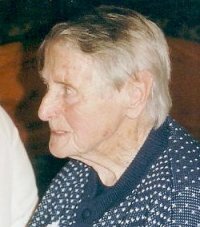 In 2004, she was a guest at the Clare Traditional Singing Weekend. Nonie was a first cousin of Tom Lenihan.